Consumable goods. We have members all across the UK and specialise in the care sector. One-Vision is our in house buying analysis web application and CP Dairy allows us to support local dairy suppliers with our own central billing platform. We are very present on our social media platforms and post regular information and up to date news on our blog. (‘we’) throughout this document refers to Collective Purchasing Ltd and its subsidiary companies mentioned above. If you have any questions about the information you see here or how we handle our data then please contact our data protection controller via email hello@collectivepurchasing.co.uk or write to us: Collective Purchasing, 8 The Gardens, Broadcut, Fareham, PO16 8SS. By using our Collective Purchasing website, you consent to the data practices described in this statement. Your personal data (anything which can be used to identify you personally) may be collected and used by us. Any information that you provide by filling in forms on our site or corresponding with us via social media. This includes provided information at the time of registering, posting material, entering a competition, requesting further services or subscribing to any service offered by us on the site. We might also request further information if you should report a problem with our site. We will keep a record of any correspondence from you via phone or email on expressing interest to become or becoming a customer, supplier or employee. Details of transactions you may carry out through our site, CP Dairy or via email through our Furniture & Equipment department and of the completion of your orders. This personal data collected may include name, title, gender, place of employment, employment status and job title, email address and telephone numbers. Occasionally, we may collect data from third party information available to the general public on the internet. We may automatically collect information about your computer; this is statistical data concerning your browsing actions and does not identify you individually. This information includes your IP address where available, operating system and browser type, for system administration and to report collective information to our advertisers. We may also collect information about your general internet usage using cookie files stored on the hard drive of all computers. The cookies contain valuable information that is transferred to your computers hard drive. In collecting this information we are able to improve our site and deliver a better and more personalised service. You can refuse to accept cookies but note that in doing this you may be unable to access certain parts of our site. From time to time one of our websites or social media platforms may contain links to and from the websites of our partner networks, advertisers and affiliates. If you visit any of these sites please note that they have their own privacy policies and you should check these before submitting any personal data. We cannot accept any responsibility or liability for these policies. To notify you of any changes to our service or a change from a provider that we oversee on your behalf (for example, a price change from a food supplier). Where you have consented to be contacted, to provide you with the information, products and services requested from us or that we feel will be of interest to you. Data is stored until a time it is no longer required or has no use. With consent, we will use your details to keep in touch about things that may matter to you. We’ll only send these to you if you agree to receive them and we will never share your information with companies outside of Collective Purchasing for inclusion in their marketing.  We sometimes operate an email mailing list program, used to inform subscribers about products, services and/or news we supply/publish. Users can subscribe through an online automated process where they have given their permission. Subscriber personal details are collected, processed, managed and stored in accordance with the regulations named in this policy. If you agree to receive marketing information from us you can change your mind at a later date. To change the way you receive information from us or to stop our contact you can email: hello@collectivepurchasing.co.uk, phone: 01329 236 821 or post to : Collective Purchasing, 8 The Gardens, Broadcut, Fareham, PO16 8SS or by clicking the ‘unsubscribe’ link detailed in the footer of our marketing email. We will never sell your personal data and will only ever share it with organisations we work with when it’s necessary. Any data that we collect from you will be stored within the European Union (EU). If you do not want your data used in the ways listed within this policy then you can opt out by contacting us at any time via email: hello@collectivepurchasing.co.uk, phone: 01329 236 821 or post: Collective Purchasing, 8 The Gardens, Broadcut, Fareham, PO16 8SS.  You are able to opt out of our contact at any time, however there is some information that we need to send to you such as pricing changes, invoices or payment information. Employees of Collective Purchasing Ltd can refer to our in house ‘Employee Data Protection Policy’ which details how your personal information will be stored and used. Please include details on the personal information you would like to access as well as a time frame. You will be required to confirm your identity. Depending on the scale of your request, we will respond to you via your preferred method (email, phone or post) within 30 days, ensuring we provide you with accurate information on the personal data we hold about you and an explanation of why we hold it. If we are unable to resolve any problem or query directly with you, you also have the right to contact the Information Commissions Office (ICO) if you have any questions about Data Protection. You can contact them using their help line 0303 123 113 or at www.ico.org.uk.